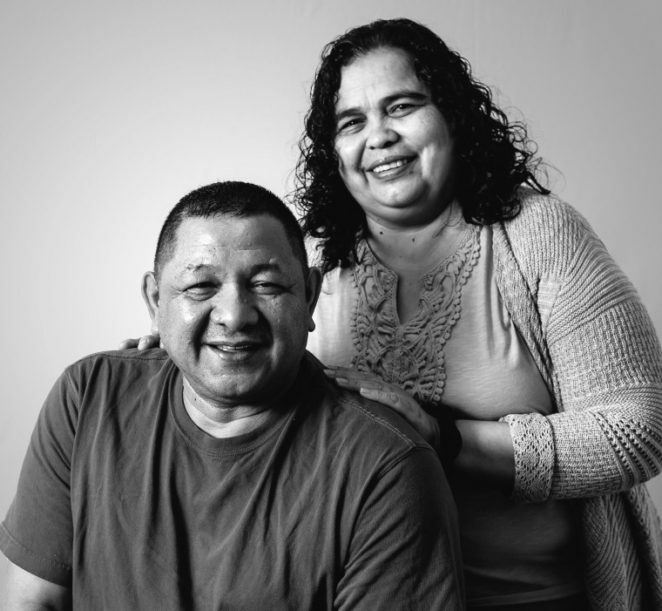 Alba and Wilmar Funes, both monolingual Spanish-speakers, had owned their home for more than a decade, raising three sons and a daughter there. Several years ago, they were approached by a scammer who offered to help them obtain a loan modification, paying him $6,000 up front. The scammer then told Mr. and Mrs. Funes that he had indeed secured the loan modification and began sending them monthly “statements.” Mr. and Mrs. Funes conscientiously paid the scammer every month for three years—more than $50,000 in all—believing he was forwarding their money to their lender. When Mr. and Mrs. Funes were sued for foreclosure, the scammer assured them everything was fine. By the time they realized that something was amiss, a default judgment had already been entered, making a foreclosure sale imminent. Mr. and Mrs. Funes met with Legal Aid consumer law attorney (and fluent Spanish speaker) Jenny Joseph when they went to court for the first time. Jenny successfully argued that the judgment should be vacated because of the fraud that had been committed against Mr. and Mrs. Funes. Legal Aid then helped them obtain a loan modification that enabled them to bring their mortgage current and make affordable monthly payments going forward.